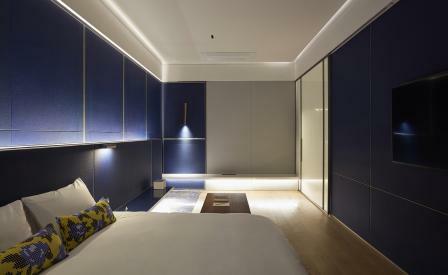 For all its architectural jewels, Seoul’s selection of chic boutique design hotels doesn’t match up. So the news that property developer Hyon-Sook Park, of hit local abode April Hotel, is taking her brand of ‘mi’ – contemporary Korean beauty – to new heights is notable. And it’s a minimalist’s dream. Owall Hotel is the work of her best friend and visionary designer Paik-Sun Kim. On the brink of international fame when he passed away in November 2017, this is his final legacy, and most ambitious project yet. From the marble-clad exterior to the faucets, he personally designed every detail, infusing each element with a lightness of touch that recalls his painting background. Each of the 32 rooms offers its own spin on the traditional Korean home. Natural finishes are championed throughout: locally sourced wood, Italian marble and granite blend the luxurious surfaces with the down-to-earth. A gallery on the ground floor promises monthly exhibitions featuring rising Korean artists. Alternatively, guests taking advantage of the hotel’s location near Gangnam’s late night party scene will find comfort in Bugeoguk, a rich broth made from dried pollack that is served for breakfast in the hotel restaurant. The local tradition comes recommended as a powerful hangover cure for revellers.